This video was originally posted at YouTube, but was quickly "removed as a violation of YouTube's policy prohibiting hate speech". 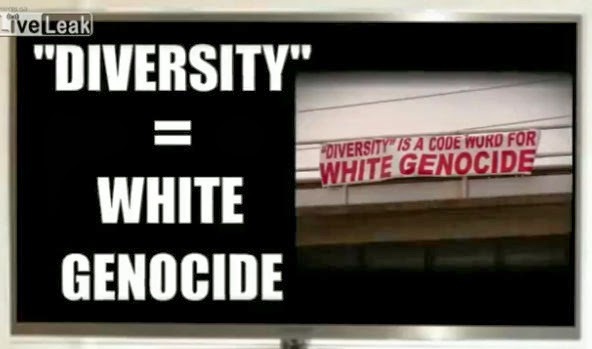 As march organizer Kyle Hunt points out in the video, "diversity" is White genocide. YouTube is simply making it clear (for Whites who don't yet understand) that opposition to White genocide is "hate". YouTube = Google = Joogle = Jewgle = JewTube. Blogspot = Google, too. Nice Ju Jitsu (or should I say, Jew Jitsu?) move there, Tan! Re TNT's comment - Is it wise for AoT to remain on Blogspot? Isnt there a more amenable host?